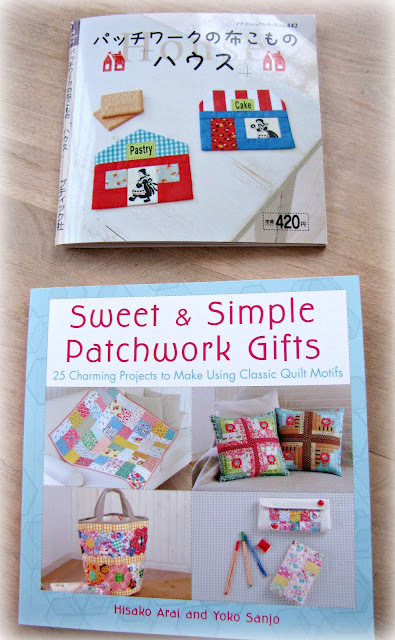 I was shopping at Joanne's today and came across the book "Sweet and Simple Patchwork Gifts". The cover was so cute I had to take a look inside! I was so excited to notice the same project that is in the Japanese House book I purchased on Etsy some time ago - it is the book on the top in both pics. 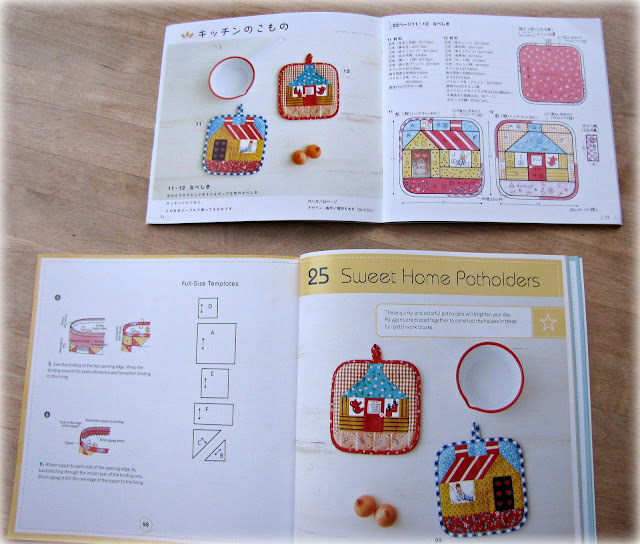 It is a wonderful book and has tons on cute projects! If you don't have a Joanne's near you, you can find it on Amazon! Wow! Thanks so much for the heads up on this! I never look at the books or magazines at Joann's, so would have surely missed it. I'm going there tomorrow morning, for sure! A person can't have too many cute house block patterns, right? Thanks for this. I found it in Amazon in the U.K. but it was more expensive than the U.S. So what else is new? How funny! I just saw this at Joann's today and got it. It's a great little book and it's wonderful to have an English translation of some of the Japanese assembly instructions. Plus, a 40% off coupon didn't hurt! May I make something for you?